A new story, ‘The Weather Project’, will appear this month in All Over Ireland, a Faber anthology of contemporary short fiction, edited by Deirdre Madden. Also included are new stories by Colm Toibin, Eoin MacNamee and Mary Morrissey. Mine recounts a seventieth birthday trip to London and the different memories the city evokes for a mother and her daughters. 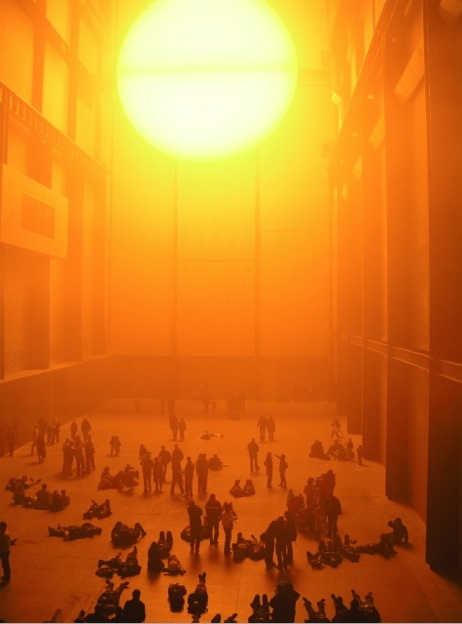 The title comes from this exhibition by the Danish artist, Olafur Eliasson, at the Tate Modern, which they visit during the day. I look forward to reading from ‘The Weather Project’ and discussing the short story form with Eoin MacNamee and Deirdre Madden at the International Literature Festival, Dublin on Sunday May 24th. The panel will be expertly chaired by Prof. Stephen Matterson, 6pm, Smock Alley Theatre.